The element is an Array and we’ll add the exact name of the font as a String inside that array. 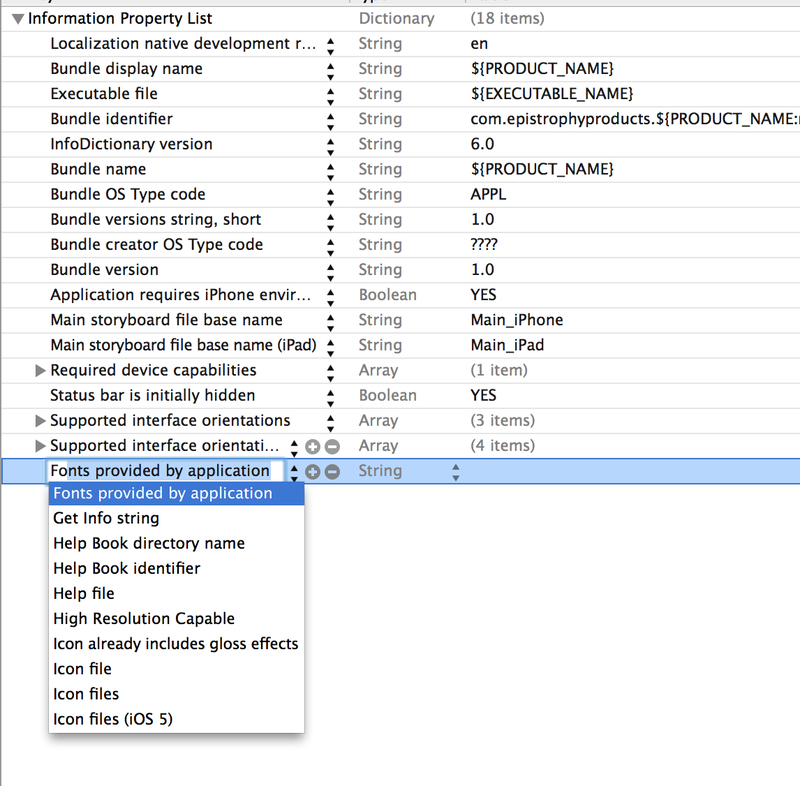 You can verify that it is being included in your app by selecting the target, then the ‘Build Phases’ tab and it will be in ‘Copy Bundle Resources’. 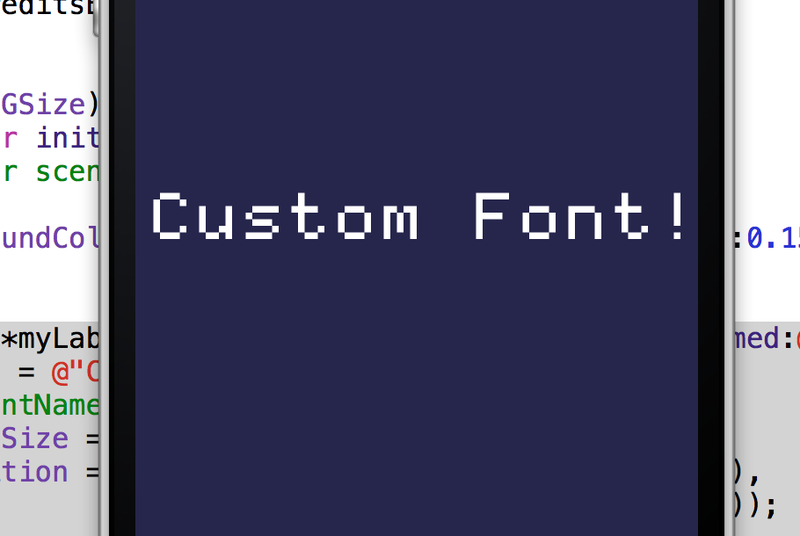 Once I run the program it will immediately print all the font information in the output. It prints all available fonts not just the ones you added. 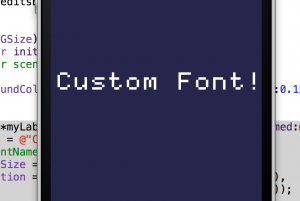 Bonus: Here’s the code to put your custom font onto a SpriteKit label. This entry was posted in Custom Fonts, iOS and tagged Find All iPhone System Fonts, Fonts, iOS, True Type by admin. Bookmark the permalink.